We are an experienced self contained trio, able to play a vast selection of 60's covers performed with personality and humour, creating a fun evening for your patrons or guests. 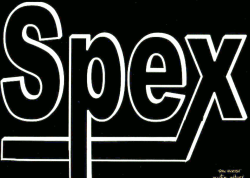 You can listen to Spex by using our youtube and Facebook links, or even better come a watch us live! Based in Lincolnshire and willing to travel anywhere! 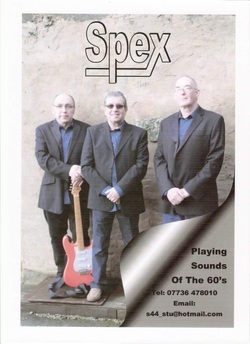 Find us on Facebook as "Spex 60s Tribute Trio"